An angler getting his elastic pulled by one of the hard fighting carp. View of the Match lake. Our 25 acre site was constructed and landscaped in 2005. The site consists of 3 lakes, the Big Lake, the Back Pond and the newly created Match Lake. The Big Lake is 6 acres in size with 2 islands. Depths vary from 3 to 8 feet with several underwater features. 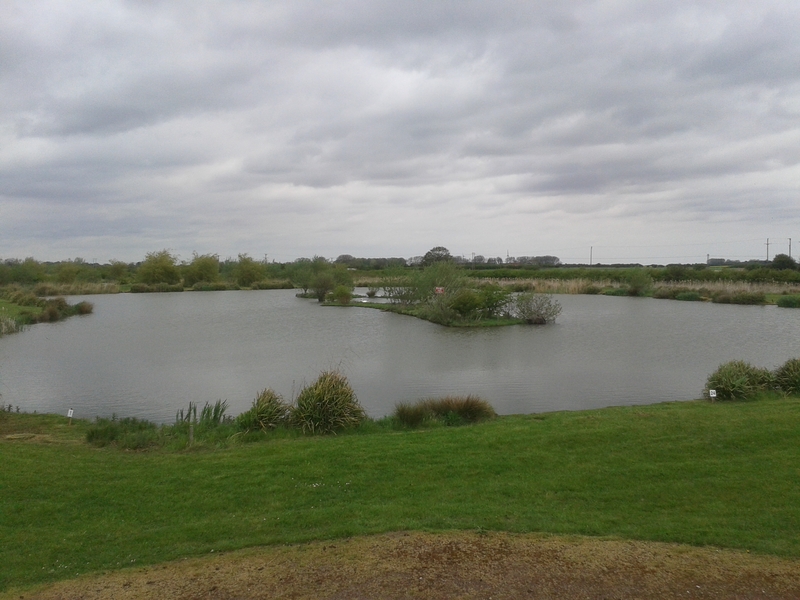 The lake holds a good head of carp, tench, bream, crucian carp, roach, rudd, perch along with some pike. The Back Pond is approximately 2 acres in size with one island, good reed beds and other margin features. It is well stocked with silver fish and carp. 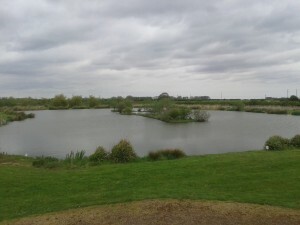 The Match Lake is an existing lake of approximately 2 acres which has been stocked to provide match anglers with an exciting new venue to fish. 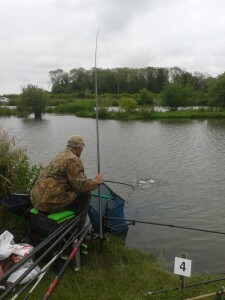 There are 24 pegs around the lake well spaced out with a island and bankside features to fish up to. Fish stocks include carp, bream, chub, roach, rudd and perch. A syndicate operates over the 3 lakes but for 2016 club bookings are welcome on the match lake. Prices are £6 per peg or the whole lake can be booked for £120. Please ring Peter on 07968 955240 for information. Details on Open Matches and summer evening matches will follow shortly. Click here to see a gallery of images taken at the fishing lakes. All bookings are accepted subject to the terms and conditions.